While multicultural composition of nations has become a catchword in public debates, few educators, not to speak of the general public, realize that cultural interaction was the rule throughout history. Starting with the Islam-Christian-Jewish Mediterranean world of the early modern period, this volume moves to the empires of the 18th and 19th centuries and the African Diaspora of the Black Atlantic. It ends with questioning assumptions about citizenship and underlying homogeneous "received" cultures through the analysis of the changes in various literatures. 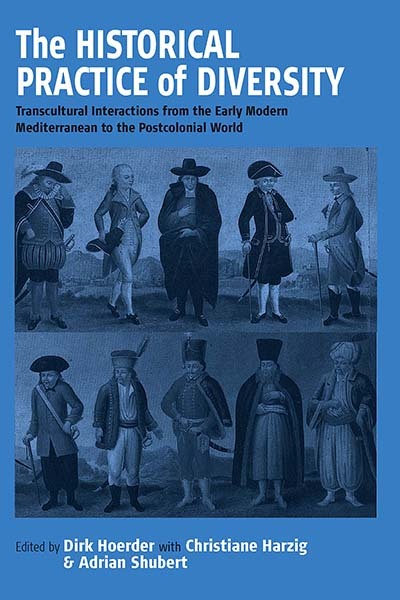 This volume clearly shows that the life-worlds of settled as well as migrant populations in the past were characterized by cultural change and exchange whether conflictual or peaceful. Societies reflected on such change in their literatures as well as in their concepts of citizenship. Dirk Hoerder teaches history at the University of Bremen and has taught at universities in Northamerica. He has completed a survey of worldwide migrations from the 11th to 20th century. Adrian Shubert is Professor and Chair of History at York University. In 1997-1998 he was a Guggenheim Fellow, and in 1999 he was invested as Commander of the Order of Civil Merit by King Juan Carlos I of Spain.